Routine veterinary care is an essential component to a lifetime of health and well-being for your beloved animal companion, whom we know is as valuable to you as any other member of your family. 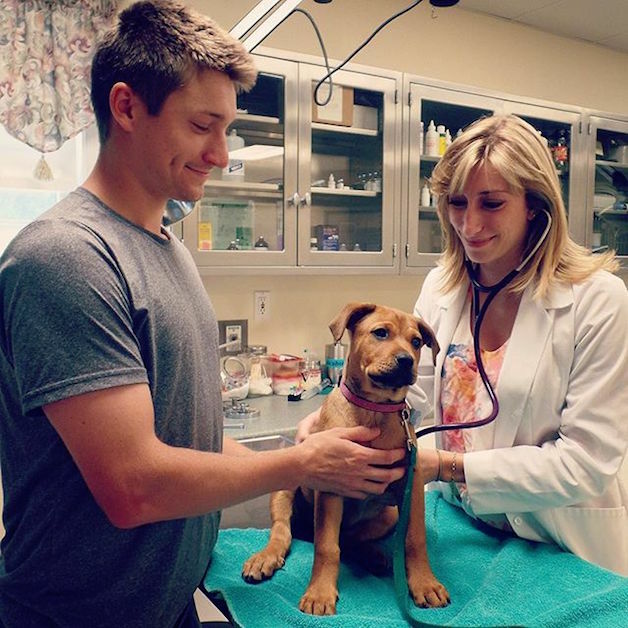 At Pleasantville Animal Hospital of Fallston, our family of veterinarians is proud to provide comprehensive and in-depth pet wellness exams that give you a chance to stay one paw ahead of your animal's unique health needs. Because their immune systems are underdeveloped, young puppies and kittens are vulnerable to many diseases, some of which are life-threatening. Our vets will walk you through the pet vaccination schedule required for kittens and pups, which typically require a few follow-up sessions for booster doses. You can also look at our puppy and kitten info pages under the patient center tab. These vaccines include those mandated by law (i.e., rabies), "core" vaccines (e.g., distemper), and "non-core" vaccines which are given based on your animal's lifestyle (e.g., kennel cough). Puppy and kitten pet exams are also a great time to ask our vet team about spay and neuter procedures. Once your pet has reached its adult age, we recommend bringing him or her in to see us once per year. This is because, like humans, our pets are at risk for certain diseases and health conditions as they age. Regular exams are an important way to screen, provide early detection for, and hopefully prevent various conditions. We'll be looking for (and preventing) things like parasites, joint problems, and skin issues. If any issues are detected, our vet staff will go over with you all the possible options for treatment, which can be fully customized to meet your pet's specific needs. Our senior pets (typically age 10 and up for cats and age 7 and up for dogs) go through a lot of changes with their health. That's why we recommend bringing your older cat or dog in to see us at least twice per year and strongly recommend annual bloodwork. We can provide and adjust medications and give any other services your older pet needs in order to feel and function throughout its golden years. Is Your Pet Due For A Wellness Exam? Call our Fallston veterinarian staff at Pleasantville Animal Hospital to schedule an appointment. We're happy to answer any questions you have and help your pet stay healthy. To schedule a pet exam today, call us today at (410) 877-3838.